mwe3: Two albums in one year is quite an incredible achievement. Was indesterren written and recorded during the same period as abendromen or did one come out of the other? Its unusual to find two albums by the same artist coming out the same year. Are you going through a period of musical prolificness and how did you decide on the title indesterren as you have a penchant for unusual album titles! Tom Eaton: abendromen (evening dreams) came first, and once the wheels were turning indesterren (into the stars) showed up pretty quickly. Over the years Ive kept videos of piano improvs Ive done, and so I had a well of material to draw from once I was in record making mode, and new ideas just kept coming. As the album that came to be titled indesterren took shape over the summer and early fall of 2016, I realized that I had to get the album out before the end of the year because Waltz For The Seven Sisters, (the seven sisters is the other name for the constellation Pleiades), was written for my seven year old who turns eight in December. My boys helped me choose the album title from a few I had worked out, and most of the titles of the songs refer to night sky wonderings. The boys also chose the color of the artwork, and helped me with some of the design as well. mwe3: Even the album artwork for indesterren has a feel of a series of album releases. Tell us about the abendrommen series and is there a plan for the series? How many titles would you like to release on this series and would you consider expanding on the musical directions in the future? Tom Eaton: At the moment I am really liking this particular zone and though I expect each album to have a slightly different personality, there is definitely a series concept. My older boy has a boxed set planned once there are a couple more! If music shows up that is outside the bounds of the concept, which is still loosely defined as evening dreams thats fine with me, and Ill find some home for those outliers, but the series will have the consistency of the piano surrounded by electronics, electric guitars and basses in a night time zone. mwe3: What are some other ideas that separate your two latest albums? Were there any other sonic differences you explored, other compositional differences or even different gear and was the music on indesterren recorded later thank the abendrommen CD? 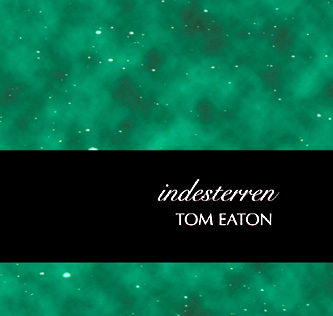 Tom Eaton: I dove deeper into my synth collection on indesterren, allowing myself a little more range than I had given myself on abendromen. I have always been a synth nut, and letting those sounds come into the foreground more made sense with this set of songs. I was surprised and really pleased that DJs played the drone/guitar loop pieces hidden at the end of abendromen, so I allowed myself some space to stretch out into more ambient zones on this record as songs emerged and faded away. The bonus, ambient tracks on indesterren are more developed than the ones on the first album, too. I was revealing more of my voice in both the more dense direction and the less dense direction. mwe3: On abendrommen you played a Yamaha EX5, a Roland JD800, a Kawai K5000 and a range of other keyboards as well as a Diamond electric guitar. What other instruments are prominently featured on indesterren and can you tell us about some of the unique special effects that you used as I know you like to flavor your songs with unusual sonics. I was also interested in your work with the Fractal company. What else have you done with Fractal and did you use the guitar sounds a lot on indesterren? well, there are more moments of backwards and fractured piano on this album, and crickets in a number of spots. Theres a raven that shows up a few times, too. There are obviously lots of delays and reverbs going on all over the place from various bits of hardware and software. The end of track one, The Red Blazer goes off into space music zone and all kinds of things show up there: singing bowls, omnichord, arpeggiators, random noise generators, crickets and more. I play the fretless bass, which is a gift from Tony Levin, quite a bit more on this album, too. And even though much of the percussion thats going on in the rhythmic tracks is programmed, there are lots of acoustic sounds blended in: real shakers, real tambourine, real cymbal swells and hits, obsidian chimes and these beautiful shimmery strings of little bells. mwe3: Some of the indesterren tracks are more built up or multilayered than others. Tell us about working with Jeff Oster on track six, Venus. Much of the indesterren album was recorded by you in the studio, although there are a couple tracks featuring percussionists. What other challenges did you face recording indesterren on your own?  gets close. Gravity was the last one written and is probably the simplest one on the album but remains really satisfying to me. My favorite track is vervagen which seems to me to be a lost 80s pop song just waiting for Elizabeth Fraser to show up and sing on it... which would be heaven, by the way. mwe3: In the indesterren liner notes you credit both Jeff Pearce and Tim Story who you say inspired you to release your own music. What are Jeff and Tim doing these days, music wise, and what other artists are you following and listening to these days and can you recommend some new CD releases? and that should say something. Tims music, especially the three albums he released on Hearts Of Space (Beguiled, The Perfect Flaw and Shadowplay) are possibly the most perfect minimal yet melodic ambient albums Ive ever heard. Long ago, when I was making mostly electronic music with every synth going full bore, Tim suggested to me that I should limit my musical palette to try to create a smaller universe of sounds, some kind of recognizable set of colors that would be my voice. This series of albums is exactly that. Initially I was concerned that I was too close to his world as I was working on abendromen but he encouraged me to stay with it and let the music out there. 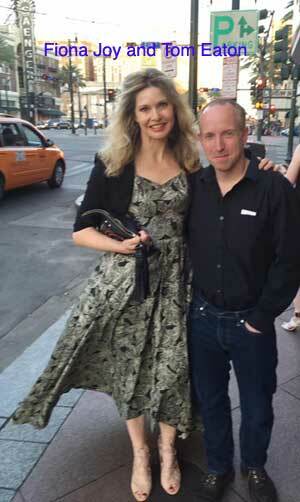 Fiona Joy, Jeff Osters LIVE! album, Lawrence Blatts new one, too. mwe3: How is Imaginary Road studios doing? Are they always looking for new projects and how is Will Ackerman doing these days? Is he more label intensive or spending more time on his own music? Hes worked with so many great guitarists over the past twenty years. Also how would you compare your studio, Universal Storage with the Imaginary Road studios? Do you get the same sound from both of them? 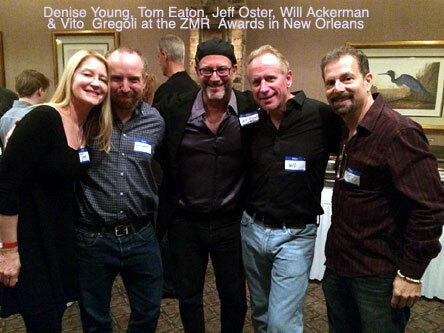 Tom Eaton: My entire life these days is working with Will at Imaginary Road. Weve done more than 50 albums together in the last 6 years and we continue to be busy, which is a blessing and a joy. 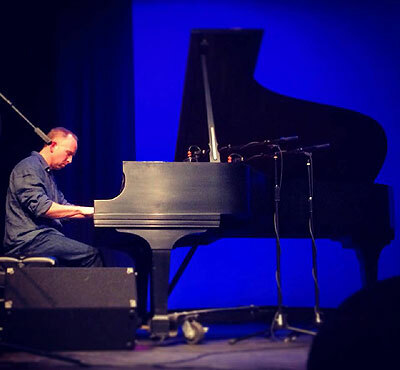 Will is doing really well, hes writing music for a new Will Ackerman album, working within the FLOW group started by Lawrence Blatt, Fiona Joy and Jeff Oster, and producing artists who travel to us here in Vermont. Our studios are very different and very complimentary. Wills is in an incredible idyllic spot on a mountainside in Windham County, Vermont. The front and back walls are glass and you feel like you are in the natural world while recording. The recording room sounds great, he has an amazing Steinway B piano and some insane Neumann mics that are beyond belief. My studio, Universal Noise Storage, is more of a typical commercial studio with drums, amps and that kind of thing. And of course a lot of keyboards! 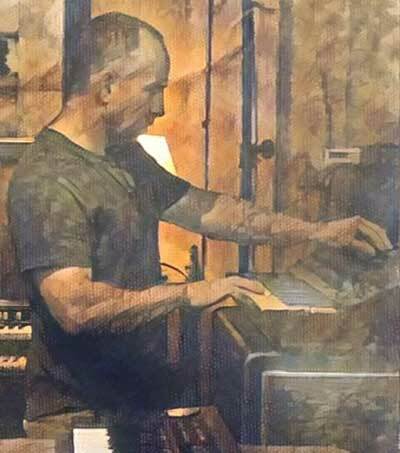 I do much of the post work for Imaginary Road albums at my place because the control room and all the speakers at my place are very very familiar to my ears, so the two studios are really functioning together in all the work we do. mwe3: Whats your latest take on the internet and music / artists rights and performance royalties and what impresses you most about online music coverage these days? and spend very little time thinking about being an artist and how that world works. I should think about it more, but Id rather use my down time to make more music than think about the marketing/promotion angles. Probably not the best decision from a business perspective, but certainly the right one for my health! mwe3: What other musical projects and CD releases did you work on in 2016 and what other projects are you looking forward to in 2017? Tell us more about the FLOW album as well as working with other artists such as Fiona Joy and Jeff Oster. Both Fiona and Jeff each made such great albums in 2016. Tom Eaton: FLOW started life as FLO, with Fiona Joy, Lawrence Blatt and Jeff Oster planning to come to Imaginary Road to do an album together. They invited Will to join in as well and the name was complete. Its been a blast. Working with the four of them has been fascinating as each brings a very developed solo voice to the project but there was no real hurdle to making the group sound like a whole rather than four differing perspectives. A testament to each of them, I think! Lawrence made a great album in 2016 as well, Longitudes and Latitudes was number one on the ZMR charts for September. obviously there is a lot of new music being made!